Rolls-Royce has said that it has been selected by Saudi Arabian airline Saudia to provide engine maintenance and servicing for its Trent 700 engines on 20 A330 aircraft under a long-term contract worth $1.3 billion. The British engineering company, under pressure after successive profit warnings, said it also won a contract to supply International AirFinance Corporation with Trent 700 engines for 20 of the same jets in a $930 million deal. 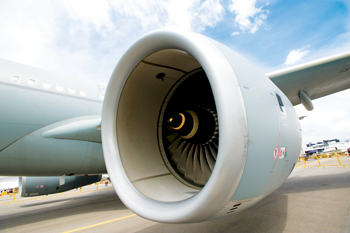 The contract wins for the Trent 700 come after Rolls-Royce said earlier that low demand and pricing for that engine model would result in significant hits to profit in 2016. “We welcome our customers’ continued confidence in the Trent 700 as the best solution for fuel burn, emissions and noise performance,” Eric Schulz, Rolls-Royce president of civil large engines, said, according to Reuters.